This post contains affiliate links, which means that we may be (minimally!) compensated if you purchase after clicking the link. The number of different bar prep programs, commercial outlines, and study aids available to test takers has grown considerably in recent years. If you’re weighing your bar prep options, here’s another resource to consider. Smart Bar Prep is an essay-focused set of study guides available in both UBE/MEE and California formats. What is Smart Bar Prep? Smart Bar Prep materials focus primarily on the essay portion of the bar exam. Their study guides are designed to help bar takers focus their time on the rules that are most frequently tested on essays. Its creators are clear that you shouldn’t ignore rules that appear less often than others. Rather, they believe that that you’ll maximize your chances of passing the bar exam if you focus 80 percent of your time mastering rules that are commonly tested and the other 20 percent of your time on rules that only show up once in awhile. 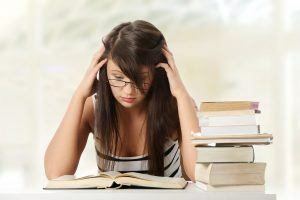 Many students struggle with prioritizing their time during bar prep and waste time lost in the weeds, agonizing over minor rules and trivial issues that are unlikely to be worth many points on exam day. While you should never rely fully on bar exam predictions and skip learning a subject in its entirety (this is a huge gamble and not worth the risk), it is appropriate to focus your energy on frequently tested rules. For example, professional responsibility is almost guaranteed to show up on the essay portion of the California bar exam. On the Uniform Bar Examination, civil procedure is a favored subject, appearing on nearly half of the past 46 exams. Smart Bar Prep is a great way for you to easily identify the subject areas and rules where you should focus the majority of your time and attention. Smart Bar Prep allows you to purchase previously released MBE questions in practice-test format. But, because there are no materials to help you learn the substantive law tested on the essays and MBE (like video lectures) or prepare for the performance test portion of the exam, you probably need to supplement Smart Bar Prep with another bar exam course like BarBri, Themis, or Kaplan. For repeat test takers who struggled with the essay portion of the exam or first-timers who are looking to develop a strategy for essay practice, Smart Bar Prep is a great option. What are the Pros of Smart Bar Prep? Smart Bar Prep Helps You Prioritize. Smart Bar Prep analyzes past essays to determine which rules are tested with the greatest frequency. Its comprehensive “Essay Prep Outline” contains detailed rule statements which are assigned “Frequency Ratings” and “Priority Ratings.” The Frequency Rating lets you know how many times the rule has shown up on previous essays (e.g., “6 of 46 exams”). The Priority Rating tells you whether memorizing a rule is a “High,” “Medium,” or “Low” priority. Smart Bar Prep Helps You Understand How Rules are Tested. The Essay Prep Outline lists the exams on which a particular rule has appeared on in the past. This information appears in a sidebar right next to the rule. This makes it very easy to find practice essays that will test your knowledge of a rule and ability to apply it to a fact pattern. Smart Bar Prep Materials are Searchable. When you purchase Smart Bar Prep, you can download outlines, attack sheets, past essays, and flashcards in searchable PDFs. This will save you a lot of time when you’re looking for a specific issue or rule. This is a big advantage over the voluminous hard-copy materials provided by major commercial test prep companies like Kaplan and BarBri. Attack Sheets Help You Tackle Fact Patterns. Smart Bar Prep’s “Attack Sheets” group condenses rule statements into clusters, helping you spot and analyze issues that are likely to be tested together. These are much shorter than the comprehensive Essay Prep Outline, but a bit more robust than other condensed commercial outlines such as Lean Sheets. Digital Flashcards Help you Commit Rules to Memory. Smart Bar Prep’s digital flashcards are organized by subject. Key concepts and rules are tested in a question-and-answer style. These are also available in mobile-compatible formats for iOS and Android devices. There are no Guarantees when it comes to the Subjects Tested. When it comes to the bar exam, there are no guarantees. It would be dangerous to rely too heavily on Smart Bar Prep’s priority rankings. You will need to be disciplined and spend enough time memorizing the less frequently tested rules so that you’re not caught by surprise on exam day. You Can’t Rely Completely on Commercial Outlines. You will still need to develop condensed rule statements and create some of your own materials. Most people find that they can’t fully digest bar exam materials without spending at least some time reworking commercial materials into a format that works for them. Unfortunately, there’s no such thing as the perfect outline that will guarantee that you pass the exam. But Smart Bar Prep is a great option for anyone looking to maximize their time during the crucial weeks leading up to the bar exam and boost their essay performance.